Jose Mourinho has aimed another thinly-veiled dig at Manchester United’s work in the transfer market. Speaking after the 3-1 defeat to West Ham at the weekend, Mourinho was quick to praise the performance of 21-year-old centre-back Issa Diop, who had a commanding performance for Manuel Pellegrini’s side. While this initially sounded like a fairly innocent remark, it has since emerged that the Red Devils boss seemed to be aiming a slight dig at his own club for missing out on the player. According to the Daily Mail, United were among the clubs who scouted the Frenchman in the summer, but ultimately failed to get a deal done for him. 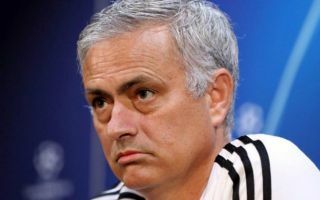 MUFC were known to be in the market for central defensive signings over the summer, but also missed out on other big names like Toby Alderweireld, Jerome Boateng and Harry Maguire. Diop only cost West Ham £22million, so would have been far cheaper than those, and it seems Mourinho is not too pleased about it.